Most couples probably don’t target the winter months as being ideal for their wedding date. I get it, it’s cold. All the flower and leaves on the trees are gone. It’s cold. Did I mention it’s really cold? But cold winter months don’t have to mean that you need to sacrifice anything when it comes to design and decor. Wedding professionals usually use the winter months to catch up on projects that we don’t get to throughout the year and also take the time for inspiration. In fact, Erin Goodrich of A Charming Affair and I used the winter months to show just how incredible a winter wedding can really be – thanks to the help of dozens of other amazing local vendors! I’m sure you’ll agree, that Erin’s one-of-a-kind layout and beautiful details really give that WOW factor! The luxurious tablescape was set in the round and featured a soaring greenery installation above with vintage crystal lighting. 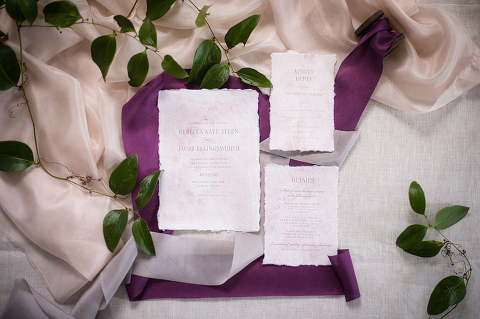 With classic creamy whites, deep plum, pops of antique gold, and rich wood textures, it was a perfect color palette for a late winter celebration. 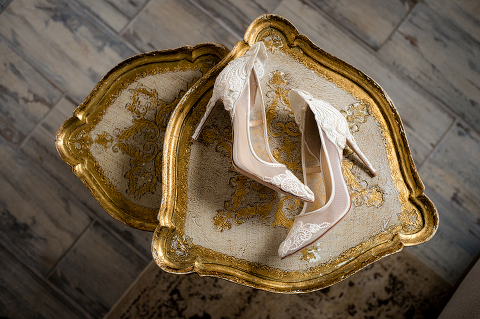 It was not only warm and inviting, but romantic, elegant, and timeless – sure to appeal to even the most discerning brides and grooms. So let’s not wait any longer! 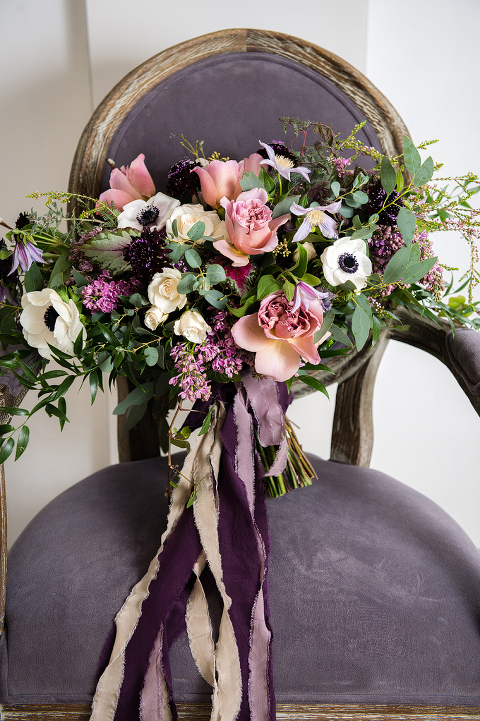 Take a look and enjoy our luxurious winter reception inspiration! Tabletop Rentals: Party Rental Ltd. 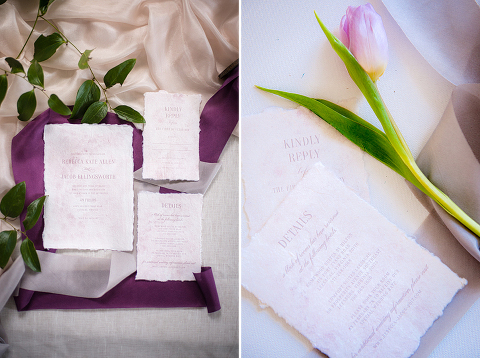 Silk Ribbon: Tono and Co.
At 48 Fields, we are a Leesburg Virginia wedding venue for celebrations of all sizes. Our rustic barns and vast fields are peacefully set in the heart of Northern Virginia wine country.